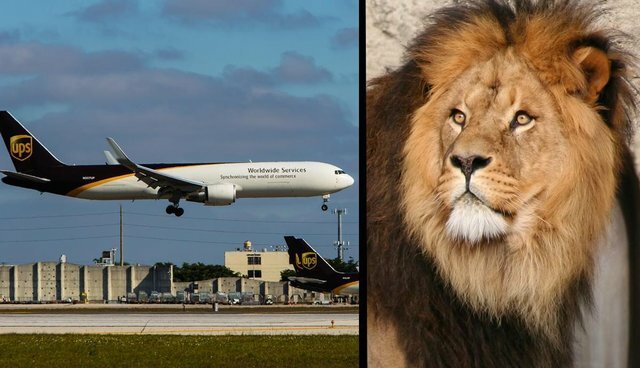 Now that public outcry has successfully caused three top U.S. airlines to ban freight shipments of hunting trophies, hunters will have to find other ways to transport their morbid trophies home. Luckily for them, UPS will continue to ship animals who were killed and prepared for taxidermy. This arrogant stance has made the global shipping company the "number-one target" of Humane Society International, says Teresa Telecky, Ph.D., director of the wildlife department at Humane Society International. "We urge UPS to join the growing list of airlines that prohibit the transport of trophies," she told The Dodo. UPS public relations director Susan Rosenberg told the Washington Post on Tuesday that the global shipping giant follows U.S. and international laws - not public opinion - in determining what it will and won't ship. "There are many items shipped in international commerce that may spark controversy," said Rosenberg. "The views on what is appropriate for shipment are as varied as the audiences that hold these views." The legality of which animals can be hunted and brought back to the U.S. falls under the jurisdiction of the U.S. Fish and Wildlife Service. Currently, the Service permits the importation of the "big five" hunting trophies: lion, leopard, elephant, rhinoceros and buffalo. Telecky points out that despite UPS' claims to avoid "making judgments," they have done so in the past. "To their credit, UPS prohibits shipment of many things that are otherwise legal to ship, such as ivory," Telecky told The Dodo. Below is the list of companies that still allow trophy hunting transportation. FedEx, a UPS competitor, is also on the list. Jim McCluskey, a company spokesman, told The Dodo that FedEx's shipping policy allows "taxidermy finished specimens if they are legally obtained and meet our shipping guidelines"
He added, "Our priority is to ensure we abide by laws and regulations for all shipments." Note: This list is changing by the hour. The names on the list represent the airlines which allow trophy hunting transportation at the time of publication.